Skylights are a very convenient invention for your attic area. Not only it provides you with a wonderful view of the night sky, it is also an additional source or light and ventilation. Needless to say that, as any other window, skylights can get broken due to natural disasters, vandalism or just accidents. One of the most serious troubles here are leakages around a skylight, even if it was initially installed by professionals. Such a leak may lead water damage to the roof, the attic space, the materials in the ceiling, insulation, and the interior of the home under the leak. 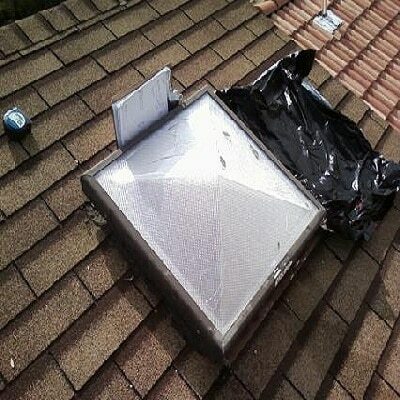 This is the reason that professional installation is often vitally important when a new skylight is purchased. If the frame of the existing skylight is not broken or damaged in any other way, it is not too difficult to replace the dome or renovate it installing a double pane dome instead of your old one pane dome. 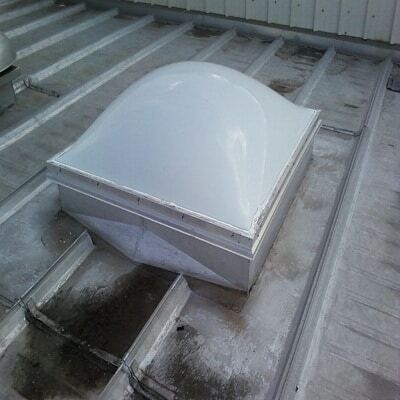 Considering those skylights are usually easy to crack under impact due to their position, you might think of replacing yours with a plastic, shatter/resistant dome. In case of skylight replacement or renovation it is vital to contract a qualified specialist, as all the works are to be conducted observing the strict requirements to the procedure and technologies. Our team has a lot of experience in skylight repair.